I have a dx of Multiple Sclerosis, Fibromyalgia, Chronic Fatigue and have had Thyroid Cancer. So, I am accustomed to pain and have been working diligently to reduce inflammation, VITAL for these conditions. Ever since I started taking turmeric supplement, I noticed that my migraines with auras are reduced and my joint and overall pain due to fibromyalgia is decreased. Turmeric reduces inflammation and when taken together with black pepper has most effect. 5.0 - It works well. I take this particular Tumeric capsule because it specifically reduces body inflammation, or so it says. I have Fibromyalgia and Tumeric is an additional Supplement I must take once daily. This is a "SUPER" product for my fibro myalgia.his helps my Fibromyalgia a lot. I honestly thought I was wasting my money. NO WAY. This has helped so much. I won't be without it. 5.0 - Love it definitely helps! 5.0 - The perfect supplement for joint pain sufferers! I really love this! I bought only one bottle to try it out and I feel it is starting to help with my pain. I would recommend this to anyone looking for some relief from fibromyalgia pain. Just started taking this and so far I have noticed an improvement in my fibromyalgia pain. Joints are less stiff and I don't take as much OTC pain meds. 5.0 - A life changer! Ive been using this for over a year. I have COPD and fibromyalgia and this has greatly reduced my need for steroids !! I'm reading now about how to get my dogs on it for arthritis. Is helping with my chronic inflammation due to fibromyalgia. First couple of days you can taste it all day but then you start to absorb it better. I love this stuff! I have fibromyalgia and this product (along with my Outback pain relief) have done wonders for me! Now, if I can just find something to help with the chronic fatigue. I hope if you try it, it works as well...I just ordered my 3rd bottle, but it started working within a couple of days for me. My body is pretty much pain-free...and that's saying a LOT because I've hurt for over 30 years. Truly an amazing product! This stuff is amazing! I take magnesium with it 250 mg and has stopped my leg pain completely. I can now walk without a limp. I tried just taking magnesium alone but did stop the pain. I recommend this to any one with arthritis or fibromyalgia (which I have also). I ran out at one point and was in so much pain- so now I buy ahead of time. I sleep better too. Fibromyalgia requires trial and error in finding supplements that work...this one helps with inflammation and pain!!!! My "patient" is bed/wheelchair bound, very little muscle mass, constantly complaining of back pain, and others aches from various surgeries to repair broken hips, ankle, and collarbone. She also has intermittent bouts of fibromyalgia. Since putting her on a 2 a day regimen of this supplement, her complaints have reduced by 80-90 %, and her consumption of ibuprofen by 95%. It has eased her suffering immensely and I am so grateful. I have fibromyalgia and pretty severe arthritis. I have been using this for 3 weeks and Wow have I noticed a difference. My pain level has decreased as well as my inflammation. I will continue use this product. 5.0 - Will continue to purchase more. I love this product. I have less pain from my fibromyalgia. Lots of energy. My daughter gave me a bottle of this turmeric and it has really helped with my pain. I have fibromyalgia, arthritis and torn minuses in my knees. I have chronic pain syndrome, fibromyalgia, bursitis and tendinitis. I've taken pain medication, muscle relaxers and 200 mg of Celebrex (prescription that increases risk of heart attack) daily with no relief. I used this product for one month. It worked great and lowered my pain considerably! I was able to stop taking Celebrex and was very happy! I bought this in hopes of helping with fibromyalgia pain in my hands and feet. It works very well taking 1 tablet in the morning and 1 tablet at night along with my prescription meds. I did buy more. All I can say, is that since I’ve started taking it, I haven’t had to take any pain meds. When I believe in a product, I spread the word. I had bought my supply of 6 bottles to get the 30% off. I let my coworkers try a couple of pills and they were amazed. I ended up splitting the orders with them. Dam there goes my discounted bottles. But st least we all got a discount. Definitely will be ordering it again. I have fibromyalgia, Really bad arthritis throughout my body. Love this brand. Amazing. 5.0 - " it works for me!!!!!! This brand is the only brand I will use, for Turmeric is my miracle supplement along with glucosamine, chondroitin, and Etodolac and this combination works for me within 10 minutes after taking it. I tell you not lie ,I rather take a supplement rather than a narcotic for pain ,I have fibromyalgia, DJD, and arthritis in my knees and this is the only thing that has worked , and it last for more than 8 hours, if I experience breakthrough pain, I'll take an Etodolac and 2 acetaminophen tablets and that will satisfy the pain for me until the next day. I will never take the prescribed Gabapentin again for nerve pain, I can't afford to gain the weight that gabapentin causes. 5.0 - Best turmeric for joint pain. High quality product. I have fibromyalgia and this product controls the pain better than any of the prescription drugs I have taken and no bad side effects! I am currently taking this product to help with my fibromyalgia pain and it works great. I don't take the prescribed medication for fibromyalgia because of the side effects so this supplement helps manage the pain. I ran out for about a week or two and I regret it my body hurt so bad I reordered it fast. 4.0 - Good addition to my Fibromyalgia pain reducing program. I have been taking this product for about six weeks in addition to the prescription medicine for the pain of Fibromyalgia and Osteoarthritis. The prescription medicines help with most of the pain, but there is always a grinding everyday level that never went away, plus it made me nervous and irritable. This product seems to be helping control the pain so I have more good days than bad. I chose to have the Turmeric sent automatically and it arrives in a timely fashion. 5.0 - On the road to being PAIN FREE!! I suffer from arthritis and fibromyalgia!! I am excited to be on the road to being pain free. I will leave an updated review with the encouraging results!! I have been using the Turmeric capsules since the moment they arrived. I detoxed off of Cymbalta (used for depression and fibromyalgia pain) with my last dose on October 13. The turmeric was to help with depression and pain, and it has done it's job. I take 2 to 4 capsules per day, depending on pain. Good price and it works very well, especially for fibromyalgia muscle pain and stiffness. This product works great . I have back problems, fibromyalgia, and a nerve dystrohy(rsd) which causes chronic pain . I found your product and it has helped me with the pain and stiffness. I will buy this again. 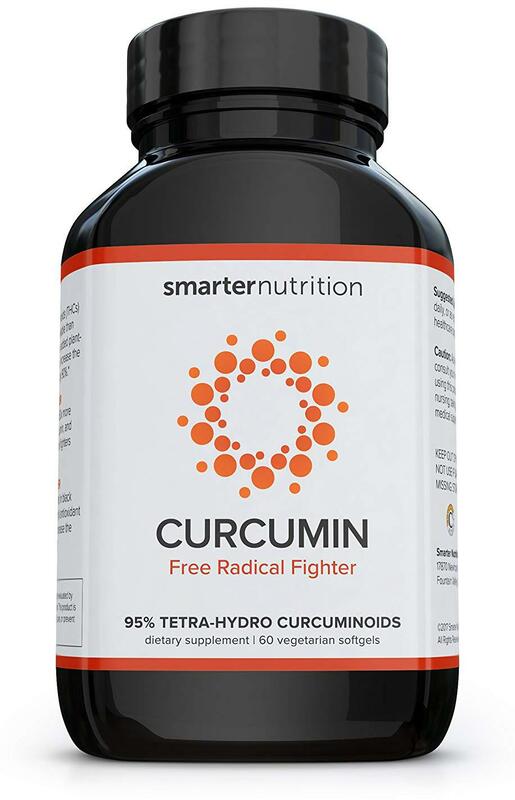 5.0 - I'm Hooked on Curcumin! Sweet Relief from Joint Pain and Inflammation, and Cholesterol Lowering, too. I started taking another brand of Curcumin in January of this year. The results were excellent so when it was time for more I went looking for a better price. I found it here. I take 1,500 mgs in the morning before eating, for better absorbtion, and my mobility has never been better. Curcumin controls/eliminates my joint pain, aids my digestive tract, and even lowered my cholesterol by more than 60 points in the eight month's I've been taking it. I bought it originally for help with Alzheimer's prevention (mom had it), but I am really wowed by the anti-inflammatory properties, help with my Fibromyalgia, and arthritis relief. I get fewer headaches, too. I used to take high doses of Naproxen Sodium, but no longer need to. I will be taking this product for inflammation instead of Naproxen Sodium from now on. 5.0 - Possible help for fibromyalgia sufferers. I have fibromyalgia and have found Turmeric Curcumin C3 really helps my muscles. When I don't use it, I find my legs ache and walking any distance is difficult. i have fibromyalgia and arthritis and this helps greatly with inflammation and pain. Don't be confused with just Turmeric. This product containes black pepper which enhances the turmeric. I have Fibromyalgia and this product seems to help improve overall joint pain and swelling. I will continue using this product. Also, the company, VitaBreeze, has great customer service and delivered my product on time. Very happy with my purchase. I received it quickly. I feel it helps with my fibromyalgia pain. Very good product at a great price and it lasts a long time with how much is in the bottle. I feel it has taken my inflammation from my fibromyalgia down significantly. At the beginning of the year I was diagnosed with Polymyalgia Rheumatica in addition to suffering from Fibromyalgia since 1992 and I was supposed to start taking Prednisone which gives me horrific side effects. I started taking Turmeric Curcumin and after 2 months the symptoms and my blood tests had greatly improved. In addition, my A1C had dropped to 5.9. My doctor and I were very happy because she approved the use of Turmeric Curcumin. Then I switched to this product and after 30 days I am back where I started. The pain and stiffness are back in addition to incredible muscle spasms in my thighs and back. Stopped taking this product 3 days ago and now my blood sugar is way above normal and I barely can sleep because of the pain. So will have to start taking this product again today just until the shipment of the Apex Turmeric Curcumin arrives. I suspect that part of the problem is the BioPerine. I definitely cannot recommend this product. Love this stuff. In combination with my prescription, it's really helped lessen my Fibromyalgia symptoms. It's the only thing that's really made a difference for me. My doctor recommended I try this product for inflammation reduction. I have RA and Fibromyalgia. I have found some relief using the Tumeric Curcumin on a daily basis after a few weeks. On bad days I take a second capsule to ease the impact of the swelling. 5.0 - Thank you for such a wonderful Product I hate taking drugs! I was looking for something to help reconnect my brain. I had a brain aneurysm rupture on 11/28/14 and was so very blessed to live! Then on 07/02/15 I had two brain aneurysms clipped. After I had gotten home from the hospital I couldn't figure out how to pay our bills or read the mail this wouldn't be so disturbing if I didn't also have to handle my Mother's financial and medical issues. And to add to that I have fibromyalgia and arthritis in my knees. I think this is a good quality product, I have always trusted vitabreeze products to be good from my use of them, I have fibromyalgia so I decided to try it, I cant say it helped with the pain but I do think it has reduced the inflammation I get, its a good product overall worth trying, everyones body and issues are different so if it doesnt help you can always exchange it easily, I kept mine because I know turmeric is good and It takes time I want to have my mom try it for her arthritis, I will let you know her feedback later. As I finish my first bottle on Tumeric Curcumin I feel less joint pain in the morning and an easier start to my day, not to mention less pain in the later hours of the day. Considering I have fibromyalgia and osteoarthritis there are times when that can be a significant issue. I have had no side effects to speak of and plan to continue taking. I also appreciate the fact that it contains 750mg/capsule which is the highest I've been able to find. Decreases neuropathy and fibromyalgia pain. Must take with food in stomach and while eating.If you have gerd be xtra careful.Might need to take a chewable antacid with turmeric. I purchased my first bottle to ease fibromyalgia pain and am having excellent results. I am on my second bottle and will definitely be purchasing more. I highly recommend this product! Nancy M.
I bought this for my wife, as she suffers from fibromyalgia. Fibro causes a lot of pain that takes strong pain killers to manage. As she has been worried about the long term effects of these pain killers, she was looking for some alternative. I was very happy after reading all the information about this product, and that it contained BioPerine to help with absorption. Best of all, my wife is seeing results. I am excited to see how she continues to do over the next few months. My medical doctor had mentioned that turmeric was a natural pain killer/anti-inflamatory during a yearly visit. I first tried the regular powdered spice , adding it to foods, etc. Not really caring for the taste, I began buying the supplements. Take one every day. My fibromyalgia pain levels are easier to manage now, not completely gone but less than before. Love, love, love! I am speechless. I can't say enough about this product. I have arthritis in my knees, fibromyalgia, and diabetic neuropathy. I have gone to pain management for years. A friend of mine mentioned these. And I've been on them for a month and 10 days. They have eliminated all pain pills. I rarely take Tylenol now too. I still feel a little pain. But nothing compared to what it used to be. I am a lifelong customer. Thank you! Thank you! Thank you!! I battle Rheumatoid disease along with fibromyalgia and I am sure this product is helping combat the pain. Just placed my third order. Great product! I have fibromyalgia and taking this has made a tremendous difference! Easy to get up from sitting to standing. Making exercise easier as well! I have been using this for about a month and it is helping with my joint pain and fibromyalgia. I am pleased with this so far. This product has helped reduce my inflammation due to my Fibromyalgia. Quite a few of my joints are less inflamed which means less pain!! I love this product! It has changed my life with the pain I suffer from fibromyalgia. I don’t take any prescription pills anymore. I take two a day and on really bad days I take 4. This is a great product! THE BEST CURCUMIN I HAVE TRIED!! Was taking other 95% standarized tumeric and even made my own paste, with pepperine, But when I read about the better absoprtion and affects of using the Tetra-Hydro with Black Seed Oil, rather than the powder, I thought I would try it for, aches and pains in lower back and other joints, as I am now 65 yr. old. After a 2 mo. I realized that not only my new aches and pains were feeling better, but the Fibromyalgia pain in my arms, that I have had for a good 1 yr. and half, had totally disappeared. I couldn't believe it! I was surprised by that! The worst part, was when I realized, I only had 1 bottle left, (out of 3)! My Husband just ordered 6 bottles for his arthritis, that he has had for years. He wasn't taking it with me, until he saw how my arms got better! We are excited to see how this is going to work for Him! After taking other forms of tumeric for many yrs, and many other supplements, I have never seen a product work so effectively, so fast!! 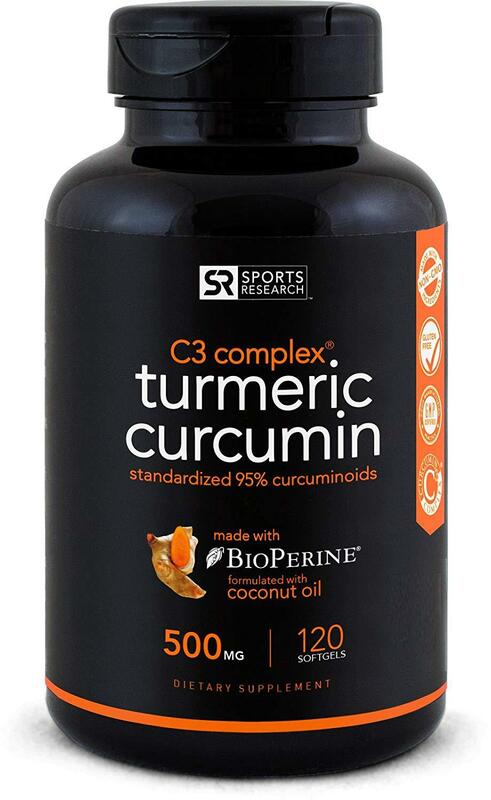 5.0 - Awesome curcumin product! I have chronic back pain, arthritis, & fibromyalgia. Just in the 15 days I have been taking it I have seen an improvement in my pain level. 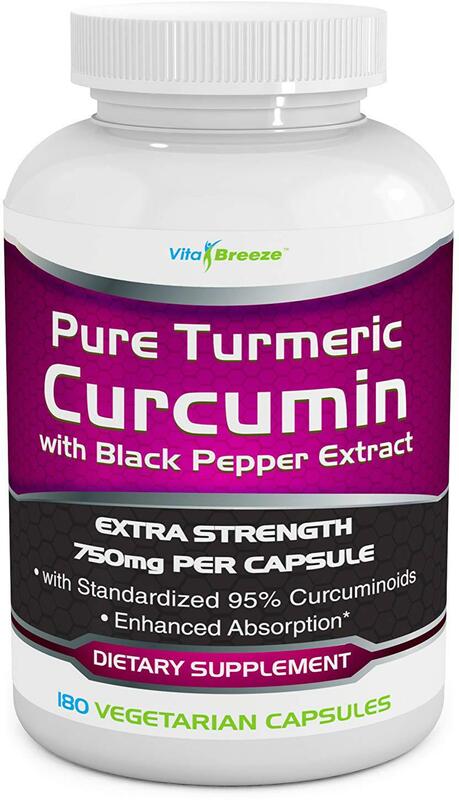 I have tried numerous different brands of curcumin and this one, by far, is working the best for me. It’s pricey but definitely worth it - I will continue to use this brand! 5.0 - I feel so much better! I have fibromyalgia and have had extreme pain in my upper back across my shoulder blades. It took three weeks, but the pain is gone. I feel so much better! I have fibromyalgia and was treated for breast cancer and smarter nutrition uses black cumin seed oil, which is easier on the stomach than black pepper (piperine). This makes it my preferred choice for curcumin. Great product. I have RA and fibromyalgia. It has helped with joint and muscle pain. 3.0 - Excited for this product to work!!! I suffer from fibromyalgia and I was reading many posts about this product. Everyone is saying how great it is. Even those that suffer from fibromyalgia say the same thing. I haven't been taking it for long but I'm very optimistic that this will help and I don't have to use prescription medication for my pain. Only thing I noticed was that you need to make sure you drink a lot of water when you take it....otherwise you burp the taste. I've been taking this for joint pain in my shoulders, wrists, and thumb joints for about 6 months. There is a significant reduction in the pain for sure, and my range of motion is back to almost normal. This did not happen with just regular powdered turmeric capsules. 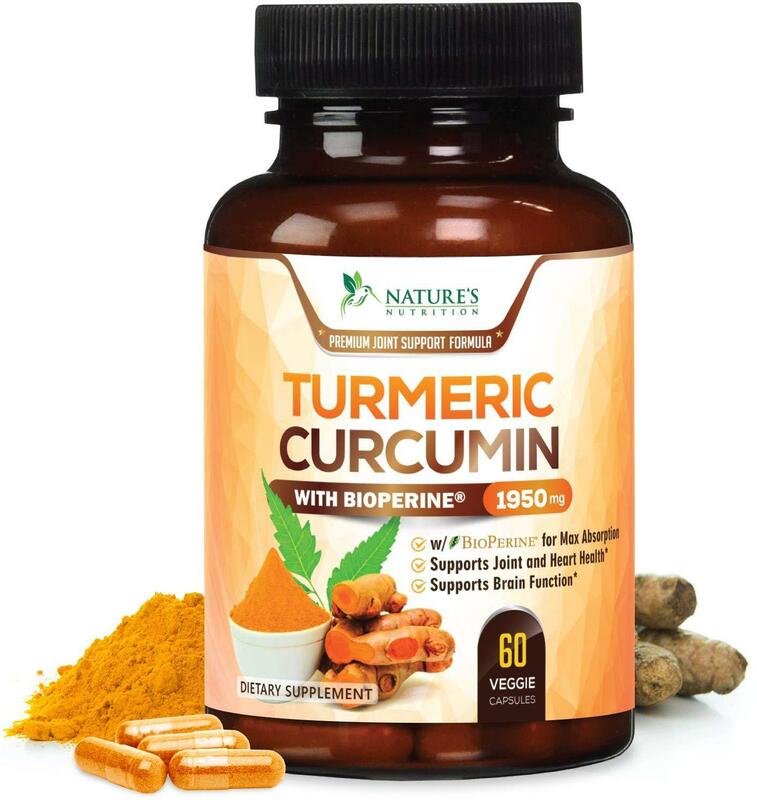 It makes sense to me that this product would be more effective than ground turmeric since curcumin is the anti-inflammatory ingredient in turmeric, and because it is oil based, the delivery to the inflamed joints is more efficient. I am so confident in its ability to reduce pain that I've sent a bottle to a good friend who suffers from fibromyalgia. I have suffered with fibromyalgia for at least 5 years now. I've been to three different specialists and have been on many pain pills that make me so sleepy I cannot function and of course I can't drive ! I decided to try SMARTER NUTRITION CURCUMIN after a friend suggested I try a healthier natural approach to my pain. I've been taking it now for a month or so and I'm amazed with my relief, and with No side affects !!!! I would highly recommend this to anyone who's suffering and wants to try a natural approach to help their pain. I even showed it to my Doctor and she said , " go for it , it's worth a try " ! I'm soooo glad I did ! I'm sleeping better and have a clearier head so I can do more and enjoymy life again. I have my first Grandchild due in December and now I know I'll be able to hold him and enjoy doing the things that before I would avoid due to pain!!! I am so grateful !!! It has absolutely helped my mood and happiness level as well. I'm so glad I gave it a try ! I would HIGHLY recommend SMARTER NUTRITION CURCUMEN !!! I have fibromyalgia and arthritis and have been taking it for little bit less than 30 days as I'm sharing the second bottle with my boyfriend. I haven't seen a huge difference yet, but maybe I need to take it a bit longer to accumulate in my body. My boyfriend however saw the difference right away. He was starting to get pain in his fingers from arthritis and now the pain is gone. I have been taking this for the last 4 months, and since it has just finished I can attest to the fact that it has helped with my pain significantly. I suffer with Fibromyalgia, severe chronic pain, sciatica and lots of other ailments. My body pain has been less severe, and this dull malaise feeling I used to feel for a while, has slowly dissipated. I have not taken extra strong medication for pain since last year, which I was on constantly, in fact I am truly amazed and not sure why I didn't know about these supplements until my cousin recommended. I do take and use the real turmeric root in my juices and food, but taking these, the improvements I can significantly feel in my body. 5.0 - Finally Some Help with My Fibromyalgia! I have had Fibromyalgia for about 20-25 years. I have tried just about everything in that time. I won't go into all of the various supplements and treatments I have tried. They were all very, very expensive if I received any help at all. I am retired with limited budget, but I feel this product has been very much worth the cost. For a 3 month supply I think it is very reasonable in cost. Great to know that this product is helping with my Fibromyalgia and Osteoarthritis! Helps with my chronic pain and stiffness, plus the added benefit of enhancing my immune system! Not only has this worked incredibly for my knees and my fibromyalgia to lessen the need to actual medication. If I could sell this product or be a rep for them, I WOULD~ Just do the subscription and get the better price. If it doesnt work for you then you can still get a refund, but I’ll bet you don’t. This product has helped so much with the pain of my arthritis and fibromyalgia. I will gladly continue to take it! This product has changed my life for the better since being diagnosed with fibromyalgia. Gradually started taking three capsules a day and in less than two months, most of the pain is gone. That was the only change I made, so this must be the reason for the decrease in pain. I am very thankful for this product. I've been taking these for several years. It helps with fibromyalgia pain since it good for muscles. 5.0 - Combine with Magnesium. Used with Magnesium, this is helping with my arthritis and fibromyalgia pain. Works well for fibromyalgia. Meaning, shaves off 1 to 1 1/4 level of pain on a scale of 1 - 10. When your pain is 7 - 8++, even one point is helpful. This stuff is good for fibromyalgia. 5.0 - keeping fingers (and toes) crossed! I have fibromyalgia and my pain and fatigue have gotten completely outta hand. Most days it's hard to get off the couch (and I'm not even comfortable there!) Also, my depression/anxiety are at an all time high. Anyways, I've read about malic acid and magnesium helping ALL of my former complaints so I bought a good chelated magnesium (on Amazon) and now these malic acid came today. Wish me luck!!! 5.0 - It's imperative that they never stop making this! This is an invaluable supplement for anyone with fibromyalgia. Combine it with magnesium, and take Daily to minimize muscle pain. This is the only brand of malic acid I could find that did not already contain magnesium in it. And that is very important for me, Because the only formulation of magnesium that my gut tolerates is magnesium Glycinate. My wife takes these and for awhile we could not find them in stores. They help her with her fibromyalgia. I'm taking this to help with fibromyalgia pain, and while it's hard to say for certain (I'm taking several other supplements simultaneously), it's a cheap and easy addition to the mix that seems to have given a good measure of relief. Definitely cheap enough to give it a try! I'm pretty sure it's helping, so it's been added to my regular line-up. This is a great product if you suffer from muscle pain or spasms. I have fibromyalgia and taking this every day really helps. The capsules are easy to swallow and have no bitter after taste. 5.0 - ... have been taking this product for 3 years with great success. I have fibromyalgia and have been taking this product for 3 years with great success. Great price and with fibromyalgia, I woudn't be without it. A must have if you have Fibromyalgia. A foundational part of rebuilding. Malic Acid is used to help with the painful symptoms of fibromyalgia. I have been on a regimen including Malic Acid for over 20 years. In my case, the Malic Acid helps my body deal with the fibromyalgia. It is because of the daily use of this vitamin supplement that I can get around with less pain. 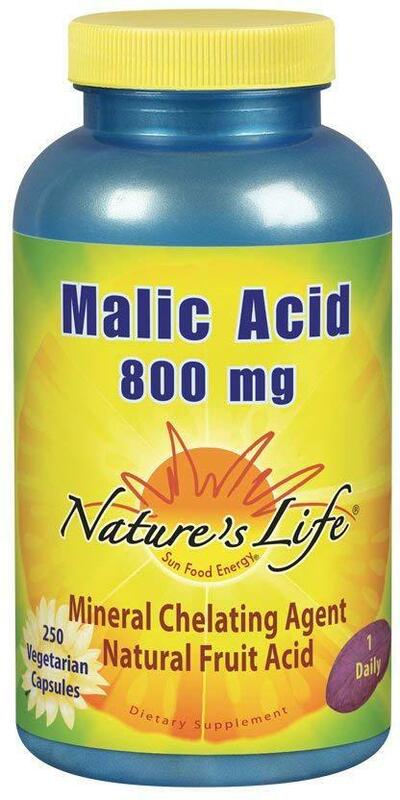 I felt so much better after I started taking Malic Acid. I was very skeptical. I have tried other things that was supposed to be good for fibromyalgia but nothing I tried made any difference in my energy level. After 1 week I could tell a difference. I can now work much longer without having to sit down and rest for a while. I would recommend Malic Acid to anyone. First...I *really* wanted to like this brand of malic acid because it's inexpensive, and it's on Subscribe & Save. I usually use Vitamin Shoppe's store brand, which is much more expensive. I take a large amount of different supplements, mostly fish-type stuff, and I am always looking for ways to control costs. Further, I suffer from a variety of issues, mainly fibromyalgia, all of which are controlled by a very strict diet: no grains, no dairy...It's tough, but it works for me. It gets more difficult to find malic acid without other minerals in the mix. This is a reliable brand and a great price here. I take it to maintain stronger energy levels; it is subtle but I sure feel the difference when I run out. Everyone is different, so it may not work for you. I am delighted to find that Amazon consistently have this product. I am really happy with this product. Malic acid is one of the most effective substances yet found for removing aluminum from your body [http://www.ncbi.nlm.nih.gov/pubmed/3391623]. According to the literature, aluminum is linked to a whole host of auto-immune disorders, fibromyalgia, and Alzheimer's and dementia. I started taking malic acid due to having very high levels of aluminum in my system that resulted in Lupus-like symptoms, and it has worked amazingly well. My symptoms have subsided and my cognitive function has improved tremendously. 5.0 - FIBROMYALGIA 😩 WONT EVER RUN OUT AGAIN!!! Started taking this product awhile back for fibromyalgia. I take magnesium also. I ran out of this product and forgot to reorder. A couple of weeks go by. I’m really hurting bad, getting tired real quickly. Didn’t figure it out for a few days. When I restarted this again I still wasn’t positive that missing this product was the cause. Three days later much improved. If you have fibromyalgia this and a good magnesium (not magnesium oxide). Should be your top choice supplement. WONT EVER RUN OUT AGAIN. FYI (I took 1cap 3x day). 5.0 - Didn't realize it was helping me so much until I ran out! I have Fibromyalgia and have periodic 'flare-ups' where the pain is quite intense and disabling. I recently went to a new rheumatologist because my inflammatory markers were up off the charts. I took this as directed for a couple of months and although I seemed to be gradually getting some relief, I wasn't sure it was the Turmeric, until I ran out. After about a week, the pain and inflammation returned, so I quickly ordered another bottle. I have a lot less pain and inflammation when I take this product, so I would recommend that anyone who has problems with chronic pain and inflammation give it a try! Excellent anti inflammatory for fibromyalgia. My pain is considerably less. I don’t have any negative comments for this anti inflammatory. This has made such a difference in my fibromyalgia pains, which were so severe that I was limited in my activities. I have been on this less than 30 days and I am so pleasantly amazed at the improvement. I plan to purchase a bottle for my neighbor who also suffers severely with fibromyalgia symptoms. I really liked the price. I take one capsule a day for its anti cancer properties. I also have fibromyalgia and a lot of inflammation. Turmeric/ with black pepper works great on it. The package arrived 2 days before I expected it. I am very pleased with this product. After reading all the reviews on this product I decided to get some for my friend who suffers from fibromyalgia she said it's working good for her and she is now on her 3rd bottle. I was not paid or given a free bottle for this review. This absorbs so much better than plain Tumeric and so I have received all of the benefits of this suppliement. Virtually no pain arthritis nor fibromyalgia when I use this product. I've been using a different brand of tumeric for myself to help with pain from my fibromyalgia and arthritis, and found this which also has pepper in it..which you also need to make this more effective. I'm taking it and so is one of my dogs and we both seem to feel a little better on this. It comes in capsules..about an inch long. The daily dose is 3 capsules a day (human) but I only take 1 most of the time, since I also take a few other supplements, and I want to make sure I have plenty for my old cocker girl. 4.0 - It really helps! I started taking tumeric to combat inflammation. I have lupus and fibromyalgia. I have noticed a definite change in my pain levels since I've been taking this product. I can also tell a difference when I've skipped a week. I have tried tumeric supplements without the Bioperine and they were not as effective as this product. This works and I'll be sticking with it! 5.0 - Give it time to start helping!!! Tried many different brands, this is by far the most beneficial too me with helping with my fibromyalgia pain!! Works wonderfully relieving inflammation I have from fibromyalgia. I find this brand works better than some others. I ordered this last month after a friend told me that it's really helped her Fibromyalgia. I initially bought the Spring Valley brand of these 500 mg Tumeric capsules with Ginger at my local Wal-Mart, but I found these 1950 mg capsules with black pepper extract here and ordered them to save money. But a bargain is not a bargain if it doesn't work, and these didn't work for me at all. Maybe they'd been on the shelf too long. Taking 1 capsule of 500 mg Tumeric with ginger 4 times daily is managing my pain better than anything else I've tried in 15 years. But this brand made no difference whatsoever. I have Fibromyalgia & osteoarthritis. I have been taking Turmeric for a few months. I switched to Nature's Nutrition about a month ago & I do believe this brand of Turmeric is helping. My really bad days are not quite as bad. My morning stiffness & pain have lessened. I have noticed that I have no side effects, either. I have fibromyalgia and lupus. I also recently have a back injury. I’m using this for inflammation. I’m feeling better since starting this. I like the product. It really helps my fibromyalgia pain! I have fibromyalgia and deal with chronic pain on a daily basis. I have found that Turmeric Curcumin has decreased my level of pain. It takes about a month for noticeable results, but my inflammation has decreased steadily each day. Plus I have tissue build up from surgery on my foot which makes it very painful to walk and I was surprised that the swelling went down around the surgical site. Especially, since the inflammation was steadily increasing even though it's been over 2 years since my surgery. I have severe fibromyalgia and had heard so much about turmeric and standardized curcumin. When I finally added it to my routine, I was surprised that it helped ease my joint, muscle and connective tissue pain. 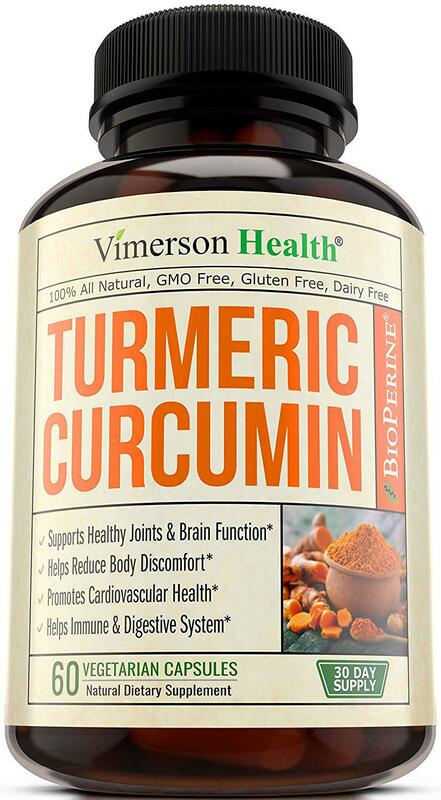 I just can’t say enough how great turmeric curcumin with BioPerine is. As I have stated in other reviews this great supplement has helped immensely with my pain and I have been able to stop and or reduce the amount of doctor prescribed prescriptions I was taking. It helped with my reflux, I was able to completely quit taking my daily Prilosec (which I was taking twice a day). I also have fibromyalgia and have a lot of joint and general pain. Since taking Turmeric Curcumin with BioPerine I have also completely stopped taking my motrin, I was taking 2 to 3 tablets of 800mg a day. Now I take two prescribed medications that I feel are safer to take and supplement them with Turmeric Curcumin throughout the day between dosing as needed. This supplement is an important addition to my medicine cabinet and daily pain management. I definitely would recommend the Nature's Nutrition Turmeric Curcumin Supplement for anyone who suffers with fybromyalgia, joint pain or even arthritis, this really does help with inflammation pain. I have my 80 y/o mother now taking this supplement for arthritis pain and she has noticed a difference. As soon as my daughter is off her blood thinner and I make sure it's ok with any other meds she is on, I'll be having her try this for her chronic pain. Best product out there, hands down. I have spent years trying new things to fight fibromyalgia. This stuff works. It is worth every penny. I've tried less expensive knock offs- they are nothing compared to this. I have fibromyalgia and within a week of taking this I was feeling better. I tell everyone to take it! 5.0 - Recommend for inflammation and join pain! Really helps with inflammation and I highly recommend trying this if you have fibromyalgia. I no longer have to take any prescription meds, just using Achy Muscle Rub from thenaturalgypsy.com and this curcumin every day. It's really amazing that I have had almost no flares after a few weeks of starting this regime. It's definitely worth trying! I was offered a bottle of NatureWise Organic Curcumin to try for free and then, give my opinion. I wanted to take Curcumin because I have Fibromyalgia and suffer from inflammation in the joints and muscles. The product by NatureWise has helped reduce the inflammation and I do see improvement. I ordered a bottle at my own expense and started my husband on a daily dose. He has noticed a decrease in muscle pain. Overall, he is feeling a significant difference and does not experience aches and pains as much. I would recommend this product, it is working for us. I have fibromyalgia and have tried a few medications and it has not helped. I was in consistent moderate and uncomfortable pain. Since I started taking Curcumin I have much less pain. I have been telling everybody about this supplement. I'm on my second bottle of this stuff and it's great. Helps with my fibromyalgia. I made the mistake of letting myself run out before I ordered the second time. Within 3 days my knees and ankles were aching and I was in pain. No doubt this stuff helps with inflammation. This is the best tumeric product. I have fibromyalgia and survived multiple myeloma - both of which cause a lot of aches. I am feeling so much better after taking curcumin. My oncologist has a patient who is warding off cancer treatments by consuming a lot of tumeric daily and with this product I am hoping to ward off a relapse. I feel good physically and mentally being so proactive with something natural! Thank you! When my rheumatologist suggested I take turmeric for increasing RA flare ups, I looked at my current turmeric and ginger capsules...then compared with Naturewise on Amazon.com. I have rheumatoid arthritis and fibromyalgia. Using the 3rd bottle now, and so far am having less RA joint pain and only minor RA flares with recent weather changes. This supplement was recommended to me to help with the pain for my Fibromyalgia. While I have only had it a few days and a little too soon to evaluate, I like the fact that I don't feel like I have to swallow "horse pills". I look forward to getting relief from these. 5.0 - Couldn’t Recommend Enough!! I have fibromyalgia and a good friend did a lot of research on turmeric curcumin and she told me Naturewise Curcumin was the best out of all her research. I bought it and now I’m off all prescription medication and taking the Curcumin 3x a day and I feel great! Couldn’t recommend enough!! I was diagnosed with fibromyalgia and CFS, my joints hurt, my body aches, everything is painful constantly because of the inflammation in my body. Through research I found that Curcumin is one of the best things you can take to help reduce inflammation and so I bought a big bottle just to try. I take about 4 pills a day ( more than recommended, I know) BUT I have never felt better. I ended up losing inches off my waist from this, body felt less achy, I felt overall less pained. I recommended this to my co-worker who also suffers from an inflammation based auto immune disease and he said he cant wait till his shipment comes in the mail. Please don't ever discontinue this product, I'm going to take it for the rest of my life. have arthritis and suffer from pain- fibromyalgia. Since I started taking Curcumin and Magnesium together the very first day and my pain stopped almost completely and I can now walk without a limp and not in pain. I sleep better. I ran out of curcumin and just taking Magnesium alone. Did not stop the pain completely and started walking with a limp again. This stuff works great! I just received my order of 4 bottles. I never want to run out again. I love this product! I have fibromyalgia and lupus and this has been amazing in reducing inflammation. I can always tell if I forgot to take it because when I don't I fell 10x more miserable. And at $30 for a three month supply, its a great deal and an even more amazing product! I definitely would recommend this to anyone who needs help dealing with inflammation of any kind. 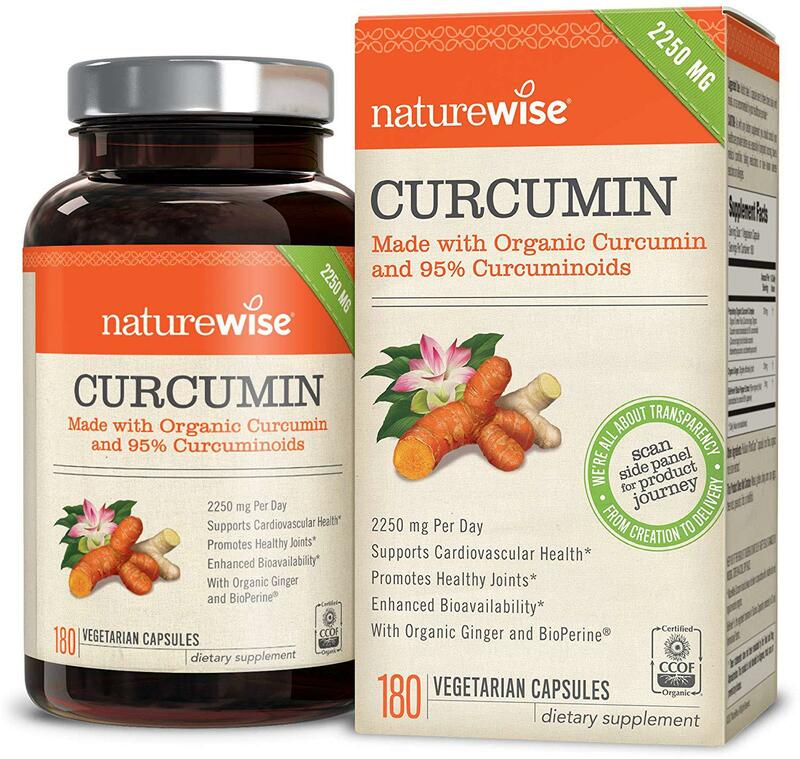 I ordered Nature Wise Organic Curcumin after speaking with a friend that also has a lot of joint inflammation. I started taking it on September 10th I could tell a huge difference in the stiffness or lack of stiffness of my joints within the first week. I am ordering several bottles to give to family and friends that also have joint problems from Fibromyalgia to RA to Lupus. I am so glad I purchased this product! Have been taking NW curcumin 1/12 month. I do notice a less pain. I usually take 1 cap, sometimes 2. Helps lessen fibromyalgia. I love this product! I have fibromyalgia and the symptoms are intensely painful. I am especially prone to the pain in my wrists and finger joints. Taking 2 pills per day seems to keep the pain from occuring. If I do feel the pain starting, I'll take an extra pill and wow, by morning the pain is gone. I have never found anything that helps as much with this inflammation. 5.0 - Great for RA/fibromyalgia pain. I have rheumatoid arthritis and fibromyalgia, so I deal with a lot of pain from inflammation. Since taking this supplement I've noticed an improvement in daily pain level excepting major flare-ups. My rheumatologist recommended a curcumin supplement, but the last one I tried I didn't notice a difference in pain levels. Love it keeps pain levels in knees down. Also helps with inflammation throughout my body . Sinuses , brain , stomach and all joints less effected by fibromyalgia. 5.0 - I am completely pain free. I have been using turmeric for fibromyalgia. I switched to this brand because of the bioavailability with the bioperine and the coconut oil included. I take one tablet morning and one at night. I am completely pain free! It is also beneficial for your liver. I love the way the I have been getting less pain in my joints since I have been using this supplement! I have some arthritis and fibromyalgia that has been making life difficult for the past few years. But I am now able to walk around the house with less pain. I am taking 2 soft gels a day and I am thinking I might try going up to 3 this month and see how that goes. I have very bad fibromyalgia and I have had some relief from my pain!! I've been using this product for about four weeks. I have fibromyalgia and a lot of pain. I didn't notice any benefit the first two weeks but finally, into the third week, I actually began noticing a big difference. A lot less pain which has made for better sleep and an increased ability to focus rather than being "foggy" a lot of the time. I'm very happily surprised with the positive results. 5.0 - SIMPLY THE BEST! AMAZING! MUST HAVE FOR EVERYONE! KILLS CANCER STEM CELLS! GREAT! A must have for EVERYONE! One of the only things in the world proven to kill cancer stem cells (see Dr. Charles Majors), not even chemo can do that. Since using I have felt 100% better and healthier. I take X 3 day. I recommend to anyone with any type of illness. Give it a few weeks and you will notice results. My girlfriend has Fibromyalgia and after a week so said her pain went from a 9/10 all the time to a 2/10 (and she is a health freak). Do yourself a favor and invest in your health. It's is much cheaper and better for you and everyone in your life to work on prevention instead of treating the damage done. 5.0 - Some turmeric/curcumin products work, some don't.... this one WORKS! I take C3 Complex Turmeric Curcumin twice a day, once in the morning and again in the evening. I have been suffering with fibromyalgia for a number of years and this product does make a notable difference and seems to reduce inflammation throughout my entire body.
. Wife has fibromyalgia and is achy all the time. She notice the difference within 3 or 4 days of taking the turmeric. Continues to feel better. I like it because it helps alleviate some of my pain from Lyme Disease/Fibromyalgia. My son takes it to help with his blood pressure also. I was looking for a good anti-inflammatory supplement. I have lupus and fibromyalgia and I want to avoid taking a lot of pharmaceuticals. I've been using other Sports Research products and found them to be top notch. I have been using Tumeric Curcumin for about a week and I can feel that my joints aren't as stiff as they had been ... and that is after only a week! The gel caps are easy to swallow and have no after taste. I have fibromyalgia and it has made a huge difference! 5.0 - This product reduces inflammation. I have been diagnosed with Rheumatoid Arthritis and Fibromyalgia . Your product in about 45 days or less has greatly reduced the inflammation. Thank you very much. I have experienced some lessening of over all body pain which is caused by my fibromyalgia. I have been taking this product for 2 years now, since I was diagnosed with Fibromyalgia. I do not take pharmaceuticals to control the symptoms. In addition to making some serious dietary changes (no alcohol, no sodas, no artificial sweeteners, less red meat, more plant based foods, etc), and with the addition of CBD oil, my pain levels are within tolerable ranges. You might say how can you tell that the Fibroplex helps with all those other factors? Because the two days I didn't take it, waiting for my shipment, I ended up with one of the largest flares I have had in a long time. I am sold! This product is perfect for Fibromyalgia sufferers. My doctor originally prescribed it for me and I've continued to use it for a few years. You can manage a lot of your pain with proper diet, but this helps when things get too much to handle. The key is regular usage, it's not a drug so don't expect instant gratification. Proper rest and diet and exercise is essential for Fibromyalgia sufferers. This product makes it possible for me to get out of the bed in the mornings. I have fibromyalgia and the body pain is sometimes unbearable. I discovered this product and several other Metagenics products that have made my pain much more manageable. It will not eliminate the pain, but I no longer have the skin tenderness that makes it pain of clothes rubbing against me. Fibroplex has the vitamins and minerals that many specialists recommend for fibro patients, but it is all in one pill. I take Fibroplex and often Metagenics' Fibro Calm for muscle spasms. While life is far from perfect and pain free, it is much easier with this product. I have been using this product for about 4 years now. It is excellent for helping to manage my fibromyalgia pain symptoms. It does not get rid of them altogether, but reduces the pain and stiffness by at least 30-40%. These are HUGE horse pills, though, so beware if you have trouble swallowing. I do, and take them with food to help get them down. But so worth it. I know if I have been lazy and skipped a couple of days. I take two in the morning with breakfast and two in the evening with dinner. This along with a generic antihistamine is a game changer. And no dependency on prescription drugs. Can't live without this stuff! If you are plagued with constant muscle pain as in Fibromyalgia, frequent cramps, chronic muscle fatigue, please try this product. 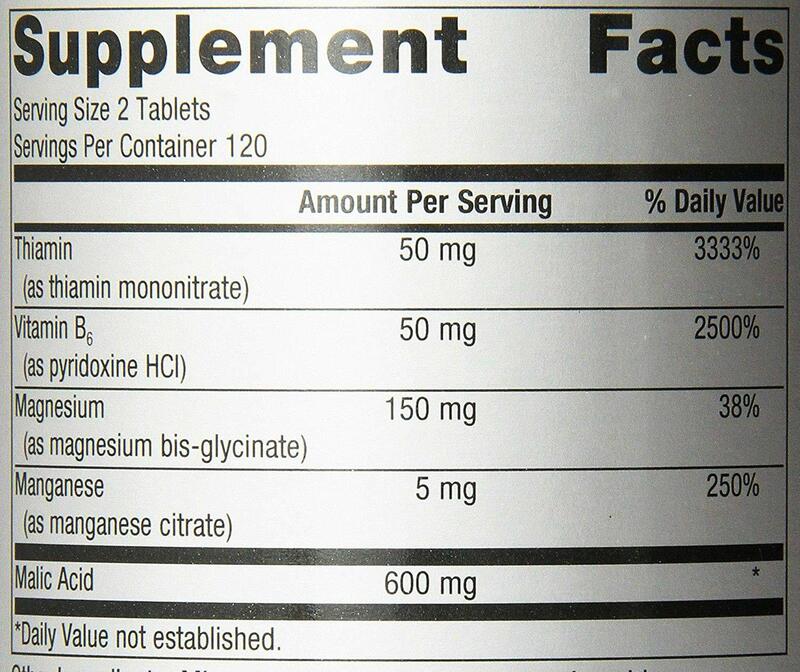 It is more than just a magnesium supplement. It seems to be the perfect combination of ingredients to ease the muscle tension that just won't let go. I have fewer neck, shoulder and facial aches and pains. Relieves tension headaches for me too. I buy this for my wife,and this she can not live without. She has fibromyalgia and it's pretty severe. She takes two pills every day,and it seems to work very well. She can now enjoy her day without hurting. I would recommend this product. I was a Paramedic before Fibromyalgia derailed my life and I was able to try this before, from my doctor. This really, truly works. When I'm having a bad flare, this helps ease the pain in the first couple days for me. It may take up to a week to help other people. If you don't get relief in a few days, don't give up. Give it a good try. It does work! It's better than taking more prescription pills and you don't have to take it every day if you don't need to. I have used Fibro Plex for 30 years to control the pain from fibromyalgia. It really works. Everyone is different & I know results will vary but this product did not improve my fibromyalgia symptoms AT ALL! I so wanted it to work. I tried the recommended 2 pills a day for about 6 weeks, then increased to 3 and ultimately 4 pills per day...nothing, zip, a waste of money for me!! 5.0 - Very beneficial for soft tissue health. Been taking this for years for my fibromyalgia ( recommended by my chiro back then). This is a good price and with Prime it eliminates the shipping cost. I have fibromyalgia and I use this product to ameliorate my muscle pain, as well as to give my muscles the proper nutrition. The price is extremely good too. For all the nutrition that you get, I highly recommend it. This is my fourth bottle and I will continue to use it. I am experiencing less pain and can tolerate being touched. Life is easier deeling with my Fibromyalgia. I use this two tablets after dinner and it has greatly reduced my fibromyalgia pain so I can sleep at night. My Rheumatologist wants me to take these for fibromyalgia . I have started using natural herbal supplements to help the increasing pain of fibromyalgia, rheumatoid arthritis and other issues. Boswellia extract was recommended by my nutritionist to reduce inflammation I was having. I have only used Boswellia for about two weeks and have noticable less pain. Besides being made in America with 100% natural ingredients the strength of 500mg per serving seemed like this was the best choice offered. My order was received promptly and the company followed up to see if I had questions or any problems. It's working for me and I suggest you try it to see if it works for you. This was recommended by my Doctor for my Fibromyalgia. It helps my immune system. 5.0 - Superb supplement for reducing pain and inflammation. It works. I have fibromyalgia and have had mono 3 times (this time for 7 months). I have a horrible time with pain and inflammation and was recently diagnosed with an ulcer and forbidden from taking NSAIDS. I cried like a little girl. Fortunately, my doctor recommended boswellia and turmeric to help with the inflammation. I've been taking this for a few weeks and have definitely noticed an improvement in my pain level. Excellent natural alternative for those who don't want to take harmful drugs. I'm taking this to help with the inflammation due to arthritis. My wife too is seeing benefits from the fibromyalgia she is suffering with. We plan to make boswellia a supplement that we can depend on. I highly recommend Boswellia Extract, sold by Superior Labs, to others! I have taking another brand of boswellia for six months. It has made a huge difference in my daily life with fibromyalgia. When it came time to reorder I thought that I would try Superior Labs. good product so far, my wife is using it with her Fibromyalgia and it seems to take off some of pain away. Hello Superior Labs, I would like to thank you so very much for your Boswellia Extract. This is my third week using it, and it is really working for me. In fact, I have been able to cut back on my prescription pain meds from 6 tabs per day to 4. And I will keep going until I will just be using your product. I am so happy my pain management provider recommended this to me. I didn't think it would really work, but it DOES! My fibromyalgia thanks you! What a nice bonus for you to offer me a free bottle. I will definitely be a return customer. Thank you again!! Judy G.
5.0 - YAAAY!!! RELIEF AT LAST! I’m a female in my mid 60’s who has a multitude of chronic diseases: Severe disc degeneration in my neck and back, nerve damage, fibromyalgia, osteoarthritis,sciatica,osteoporosis, it goes on and on..... I injured my back in 2001 and was on painkiller and anti inflammatory drugs for 10 years until my stomach revolted from the anti inflammatory drugs resulting in acid reflux and the pain killers started making me nauseous. Since then it has been hit and miss and a lot of pain. The doctors kept putting me on different prescriptions - all of them helped UNTIL the side-effects kicked in, then there was the withdrawal when I had to wean off them. I decided I’d had it with prescriptions and started searching for natural alternatives - then I found Boswellia Extract by Superior Labs. For the last month I’ve been taking one capsule with breakfast and one capsule with dinner as suggested on the label and hooray - my pain level is way down!!! Superior Labs has done it - I’m looking no further, plan to keep taking their 100% Natural Boswellia Extract forever. Thank You Superior Labs! Also, their Customer Service is The Best. Fantastic Product, Great Customer Service - What more can one ask for? The product does seem to provide relief from my fibromyalgia and arthritis. I also take ginger and turmeric, but results are better when this very good Superior boswellia is added. I had originally purchased this product to try on my back pain and soreness, and I believe it has certainly made a difference. But rather unexpectedly, I have found that my sister-in-law, who I had given some of the pills from my bottle to try for her Fibromyalgia, has reported that she has found remarkable relief from her condition since trying my Boswellia Extract. Looks like I will be ordering more bottles of this product for both of us! 5.0 - No more ibuprofen!!!! 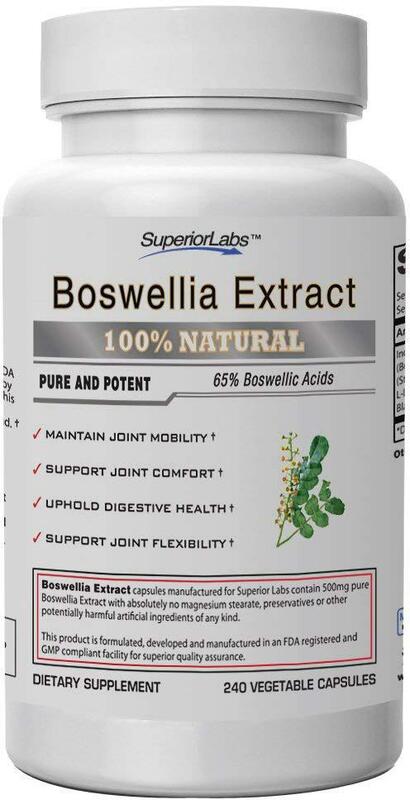 I read about the benefits of Boswellia a few months ago about joint pain and also if you suffer from "leaky "gut". I chose this particular product from this seller as its made in the USA and is a quality product. I have used boswellia (in the form of essential oil) for skin care and love it. Have seen amazing results on the outside. I must say that I see great results from taking this product orally now. I suffer from fibromyalgia and I have noticed much less joint and muscle pain and have not taken ibuprofen since being on this product for about 2 weeks! No stomach issues and only capsule is needed per day. I have to say in my case I will stay on this product and I think Superior Labs produces a really good quality product. 5.0 - 2.5 years of chronic inflammatory pain - this is ALL I've found that helps! I am a 28 year old runner with fibromyalgia and a great deal of neck/shoulder pain due to a 170 lb weightloss (or rather, due to carrying around 330+ lbs for 10 years). I have fibromyalgia and along with that IBS. Some dietary changes have helped the IBS, but I couldn't get rid of the persistent back pain I've had. I have been taking the Boswellia Extract for about 2 weeks now and have to say that while the pain isn't entirely gone, it is much better. I've also found that I bounce back better after a day of overdoing it. I never really expected this to work miracles because I've tried using frankincense oils topically with very little benefit. Evidently it works better ingesting it in this form. I have also been taking malic acid so that may be helping, but I will continue the Boswellia Extract for sure. I cannot take ibuprofen or any NSAIDS, so I'm happy that this seems to work and not upset my stomach. My doctor told me I have fibromyalgia so I thought I would try this. I think it is helping and so today I started my husband on it to see if it helps him. Would purchase this product again. Thank you! It help me to reduce my fibromyalgia pain. Wonderful product. I was searching for natural products instead of medications to help with my arthritis and fibromyalgia. This product exceeded my expectations. I feel better on this than I did on expensive medications. I highly recommend to anyone searching for natural relief. I have Fibromyalgia and arthritis and bulging discs. It has helped my pain. 5.0 - Helping My Arthritis & Fibromyalgia! I really believe this product is helping the pain in my hands, mainly my joints, especially now that the cold weather is here. I have both fibromyalgia and arthritis. Prescription medications have too many negative side-effects! I only took this for 2 days and it literally made my fibromyalgia flare up go away, a lot of my flare ups are caused by severe arthritis in my joints and degenerative disc disease and other issues that cause me to have chronic pain. This is now in my subscribe and save items. I will definitely continue taking this and recommending to my friends who also have chronic pain. My mom has suffered from Fibromyalgia pain for years. Managing it has not been easy. If you've seen some of the commercials, like Lyrica the symptoms are horrific, I can understand why some people may want to avoid taking this medication. I love it. I finally found something to help with my fibromyalgia. I recently purchased my second bottle of this product and have found it to be a good companion with my prescription for alleviating inflammation for arthritis and fibromyalgia. It has assisted the medication in lowering my pain levels. I also take it for any preventative measures it has for dementia. Studies in India have shown that their dementia level are extremely low and it is attributed to consumption of curry whose active ingredient is Tumeric-curcumin. 5.0 - I have felt good results! These have seemed to help my fibromyalgia. I am happy with the results. I am a Fibromyalgia sufferer. I have joint pain and a swollen feeling. After using the turmeric curcumin the swelling feeling disappeared. it happened almost after the first dose. I also gave some of these to my Mother who has sciatica and after a couple of days she felt better too. Im always looking for something to help and this was it. I would recommend this to anyone. I did recieve this product for testing purposes however, the thoughts and opinions are that of my own. 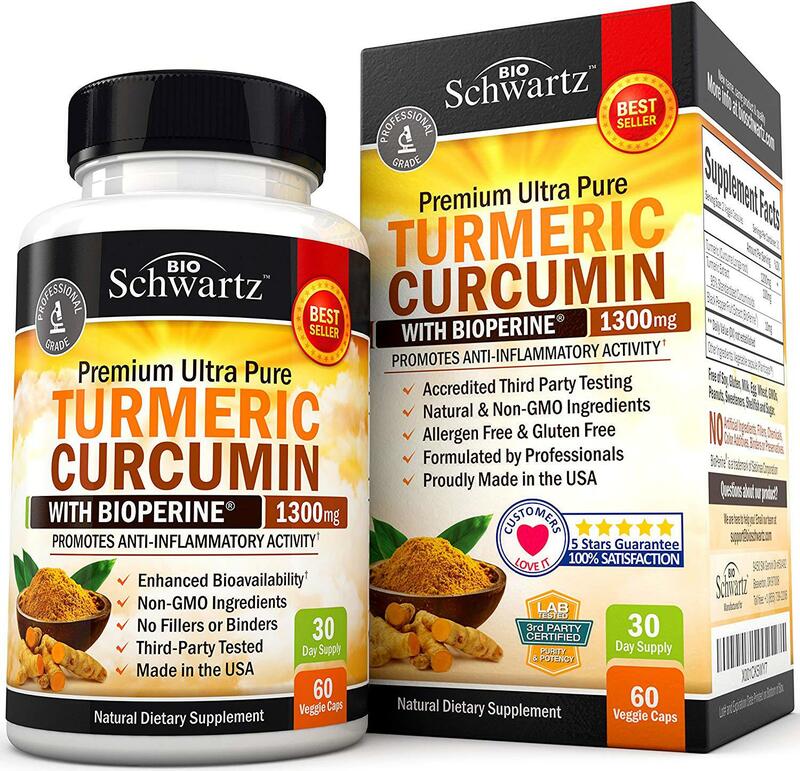 5.0 - Inflammation issues, use Schwartz Turmeric Cucurmin! I've been using Schwartz Turmeric Cucurmin for a couple of months now. I suffer from Rhuematoid Arthritis and Fibromyalgia, along with several other inflammatory issues. My Rheumatologist has recommended that I take 2,000-3,000mg each day. Most brands only contain 200-500 mg per serving, also the Pepperdine helps with the assimilation of the Turmeric Cucurmin. I love this supplement, it really helps reduce inflammation.